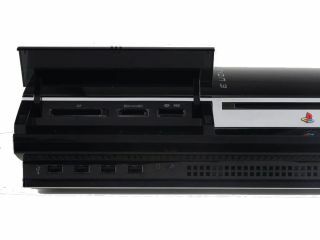 The Sony PlayStation 3 should not be judged purely on the quality of games available when the console first launched. That's the view of Sony Computer Entertainment Europe chief Phil Harrison, who defended the PS3 despite its perceived lack of quality games. To date, only racing game Motorstorm has received any critical acclaim to write home about. Other launch titles including a new 'Formula 1 game, controversial shooter Resistance: Fall of Man, and Genji, have all been panned by the gaming press. But Harrison was keen to point out that when the original PlayStation and PS2 consoles were launched they also did not have a massive number of great games straight away. "You only have to go back to the games that launched PlayStation 1 and PlayStation," Harrison told Game Informer magazine . "If you took those few dozen titles and analysed them, you would never have imagined that either of those formats would have gone on to sell over 100 million units each." The PS3 is currently being outsold by the Nintendo by a ratio of 6 to 1 in Japan.